Happy Wednesday!!! How has everyone’s week been going so far? Mine has not been too bad, just extremely busy. I am looking forward to the weekend and so happy we are at the half way mark of this week! I’m ready for a little bit of relaxing and fun this weekend. For now I’ll contain my excitement and share my confessions for this week with y’all. 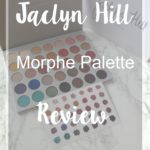 I confess that I am going to be in deep trouble when it comes to the new Urban Decay and Jaclyn Hill Morpe palettes being released. I can not wait to get my hands on them. I really don’t need anymore palettes…but the makeup obsessed hoarder is going to win. I can not express how excited I am to have finally got my wedding planner binder in! I found this one on Etsy from @lucysuisf and loved it. I feel that keeping everything organized during wedding planning is key. I’m a slight perfectionist, so what better way to stay organized. Myself and @georgiapeachy31 would like to do a Coffee Chat series about wedding planning (coming soon). So we want your help! What wedding advice would you give a bride to be? Let us know in the comments below! I confess that I am really excited to have my best friend and her family coming to visit this weekend. I haven’t seen her in a little over a month. I confess that I am really excited about collaborating with Leslie over at Peaches & Willow for some upcoming blog posts. Stay tuned for that! I confess that my parents have been so amazing with the whole wedding planning process. They are going over and beyond in any way to make sure my dream wedding happens. Again, I can not count my blessings. I confess that I am excited to be visiting the wedding venue next month with some of my family. They really want to go see it before the big day. I confess that it really bugs me when supervisors hold some people accountable at one level and other’s at a completely different one. I feel that everyone should be held accountable at the same level. Maybe that’s just me. I confess that I am so excited that Boss Pitch started today! I can not wait to dive in! Thank You so much for spending a little bit of your Wednesday with me. What has been going on in your life lately? 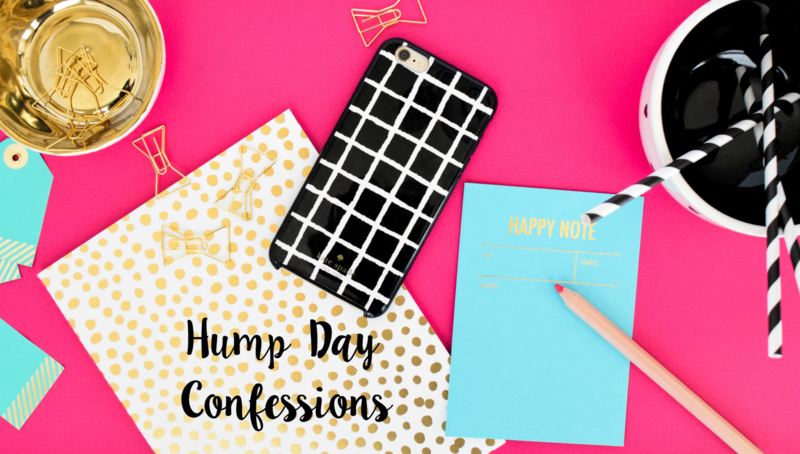 Do you have anything to confess this week? Those are such pretty palettes! Also, congrats on your upcoming collaboration. That’s exciting! Love this post! I wish my best friend was visiting me it sounds like a bunch of fun. Can’t wait to check out the collaborations coming up! Thank You Steph!! I love being able to have some girl time with my friends. It’s always a good time. I need those palettes in my life…I mean I dont but I want them! Sounds like you’ve had a pretty good week so far! I actually started BossPitch Monday and have already finished haha. I have had a great week so far. I am so jealous that you already finished BossPitch! I hope to get into it this weekend. Thank You Vanessa!!! It’s been very exciting so far. Hey MIstle! 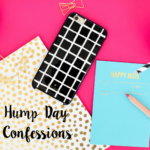 I’ve missed reading your Wednesday confessions! So exciting planning for your wedding and I love your planner. Have so much fun with your best friend! Ahh can’t wait for tomorrow’s post with Leslie! Oh and I just heard about the new Urban Decay line… sounds amazing! OMG!!! Yeah I’m obsessed with Jaclyn Hill too!!! She’s the bomb. I’ve learned so much from her! Chelsea yes girl yes!!!! I love me some Jaclyn!!! I can not wait to get my hands on that palette. I am sooo excited for the new Naked palette! I was so excited when I saw it’s coming out soon!! Adriana it’s such a pretty palette! 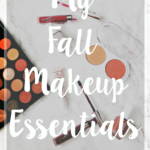 It’s going to be perfect for creating looks for Fall. That palette is to die for! I need one as well. Breharne is really is!!! I love a good palette!